Edit your product description and “about the author” section, add any professional reviews/editorial reviews you have had. One of the biggest advantages of an Amazon Kindle published Author is your own web page, complete with a URL, on a powerful Amazon website just for you! Use these links for advertising your books or for blog articles. If you shorten them, using bit.ly for example, you can double the number of links for your posts. You need separate accounts, for the UK, CA and US versions of Amazon; You have to do the site for each country separately – however, it is just a matter of copy and paste. Try to create your foreign country pages in their language. Either via Google translation or even better, ask a native speaker of the language for which you need the short text. Please check out all previous posts on this blog (there are more than 1,200 of them : ) if you haven’t already. Why not sign up to receive them regularly by email? Just click on “Follow” in the upper line on each page – and then on “LIKE” next to it. There is also the “SHARE” button underneath each article where you can submit the article to Pinterest, Google+, Twitter, Facebook, Tumblr, and LinkedIn. Rule # 1 for your book cover on Amazon is NEVER to use a white background! White on white is barely visible and your book will not stick out, especially when you chose to have the text in black. An appealing book cover can be done through the use of software, if you are computer-savvy and creative / artsy – if not, better hire a professional, who is experienced in designing book covers and can provide a portfolio with samples from earlier jobs. biography and up to 8 photos! The Author Page is a good chance to tell readers something interesting about yourself, make sure you include any details about your (writers) background, awards, other books you have written and personal details customers might want to know. Your author photo should be a professional, high-resolution image for quality display. 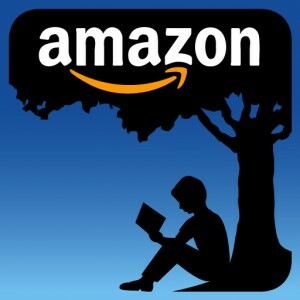 From Amazon’s Tips: “Anyone registered as an Amazon.com customer is entitled to write customer reviews, including fellow authors and journalists. Reader reviews don’t carry across borders, so ask your friends to copy and paste their reviews to all of your Amazon sites (Amazon.uk.co, Amazon.ca, Amazon.fr or Amazon.de for example). Make it easy for them and provide all the direct links to your sites. (Hint: ask your friends to click on “helpful” at the best reviews of your book). You can share your book trailer, video interviews, book signing videos or the new Google Search Story trailers with readers. Your video should focus on specific features of your book or your experience as an author. Hire a professional video maker to create your book promotion trailer and upload the video to YouTube and other video sites. To get an overview of the video production process and lots of tips and links for free images, free music and web sites where to upload and how to market your video, read: 111 Tips to Create Your Book Trailer. Submit your video or book trailer to your own website, your blog or blogs of your friends, show it often on your Google+, Twitter, or your Goodreads site. Ask all your friends to spread the word and to re-tweet your video link or submit it to their Goodreads friends.